While serving bankruptcy notices by post has been valid for many years, most people still use hand delivery. But things have moved on – notice can now be served by email. To serve a bankruptcy notice by email, numerous facts have to be proved, including the fact of service as well as date and location. In a recent case, it was established that American Express sent a PDF of a bankruptcy notice to a customer on a certain date. American Express said that the person had a facility maintained “for receipt of electronically transmitted documents”, consisting of an email mail box on a Yahoo server he frequently accessed. There was abundant evidence of the customer using the facility over the relevant period and appeared to have been his favourite mode of written communication. 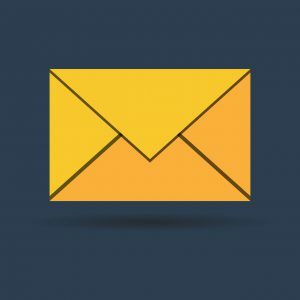 The court considered that the demonstrated use of the email address provided sufficient grounds for being satisfied that documents sent to the mail box would be received by him in the ordinary course of events. A bankruptcy notice must also be served on the debtor in Australia, but in the American Express case, there was no clear evidence showing where the customer or his Yahoo mail box server were located. Since the customer had a number of places of business in Australia, with vague suggestions that he might have some elsewhere in the world, the court noted that the law on electronic transactions found “place of business” to be the one with a “closer relationship to the underlying transaction” than others. As the customer had a business address in Kent Street, Sydney, and the address had been used in his application appeared to be the place of business having the closest relationship to his transactions with his company. For more information and advice concerning Bankruptcy & Insolvency, contact the experienced team at Rockliffs Lawyers today.